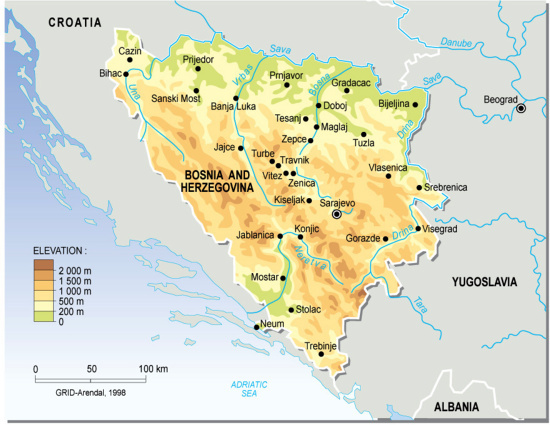 Bosnia and Herzegovina is located in Southeastern Europe, bordering the Adriatic Sea and Croatia, comprising of 51,129 sq km. It has a population of 4,025,476 (2005). Major environmental concerns are: air pollution from metallurgical plants; sites for disposing of urban waste are limited; water shortages and destruction of infrastructure because of the 1992-95 civil strife; deforestation.